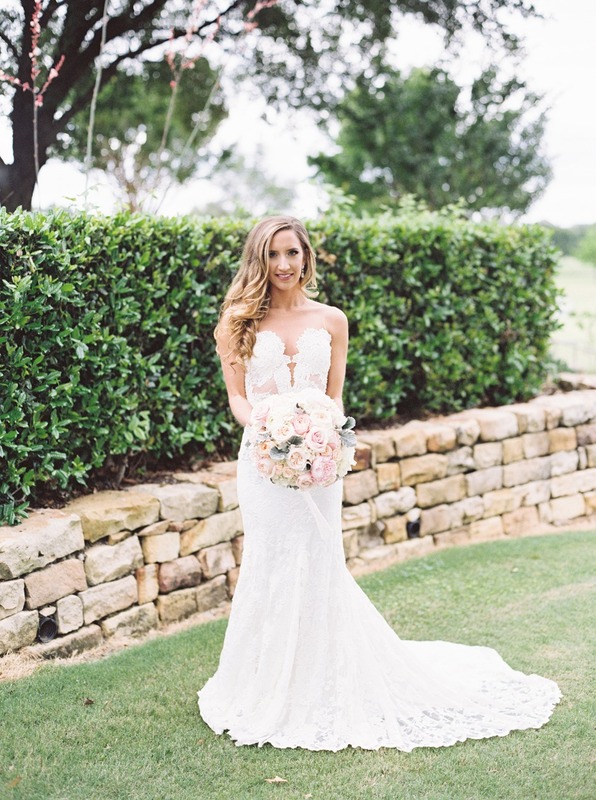 So, You are looking to get glammed up for your big day in the Lone Star state, what if you paired that glamour with a toned down color palette of soft pastels?! 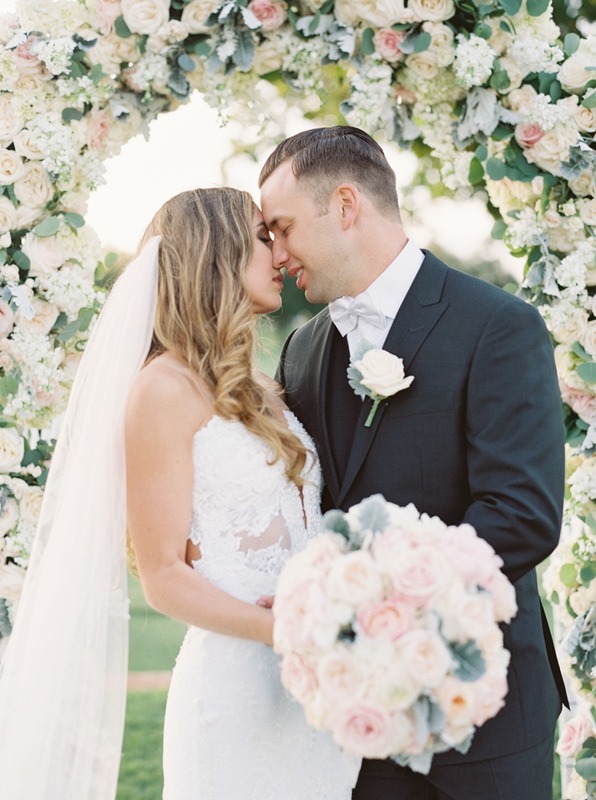 Needing a little more convincing, Take a long look at this next couples big day at the Four Seasons Dallas. 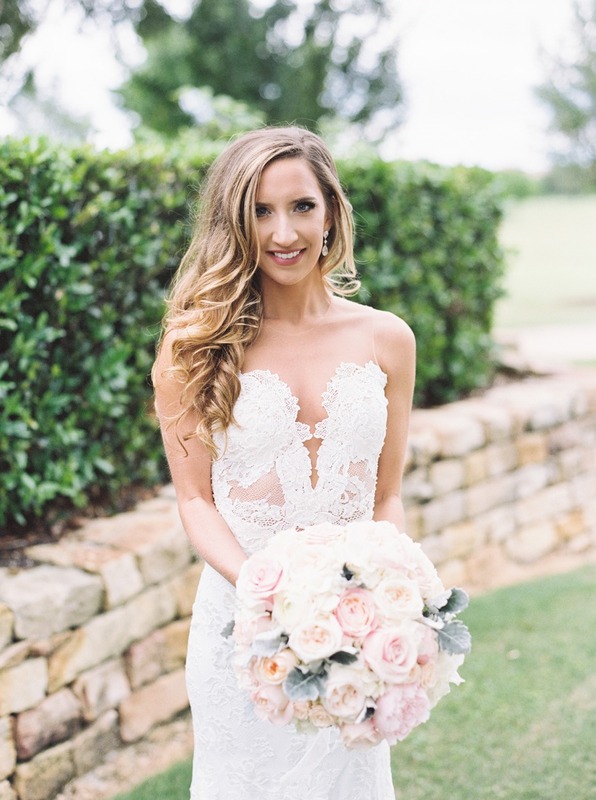 Not only was this day a fabulous creation of flowers and mismatched chic style it will blow you away with the number of extra details packed into one day. 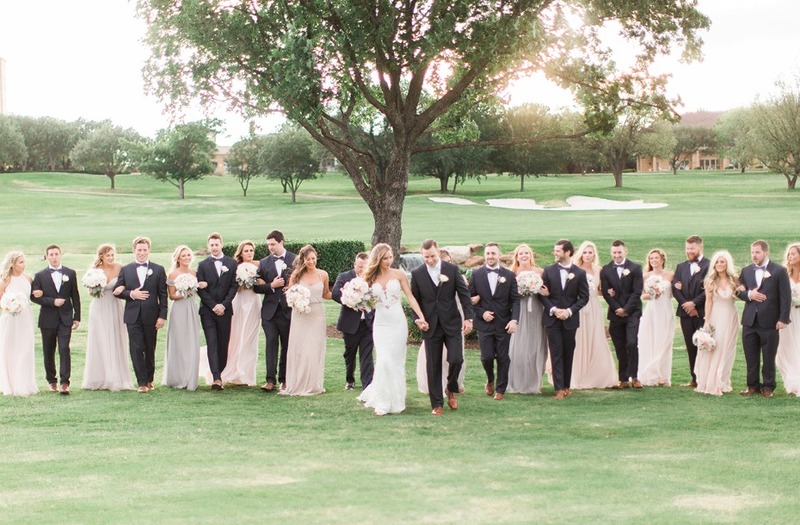 So keeps scrolling to see just how you can have a glamorous pastel wedding in Texas! 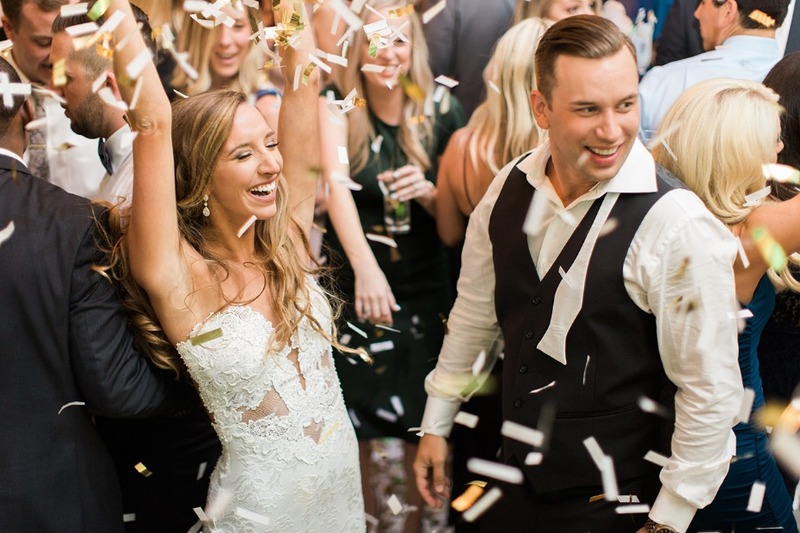 And don't run off too soon, we have all the photos from Tracy Enoch Photography waiting for you in the full gallery. For our invitations, we chose an ivory base with a metallic gold imprint. 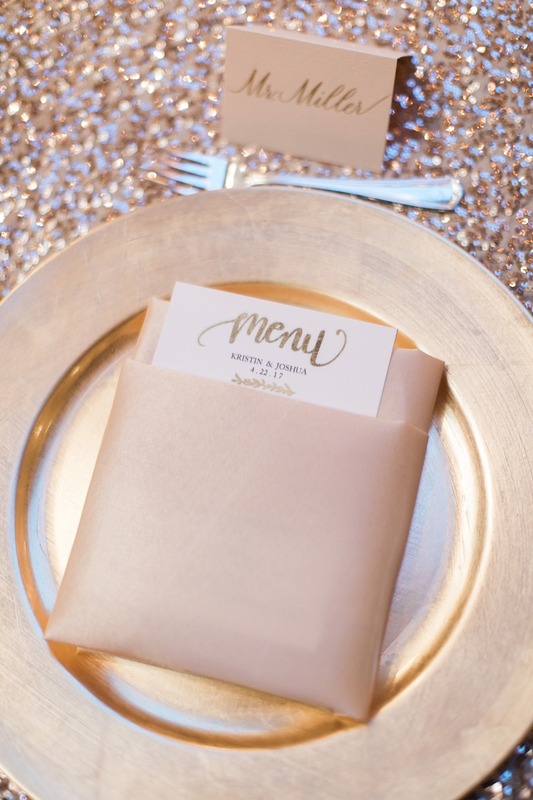 Our invitations were styled in envelopes with matching gold shimmer envelope liners and shimmer belly bands to tie it all together. 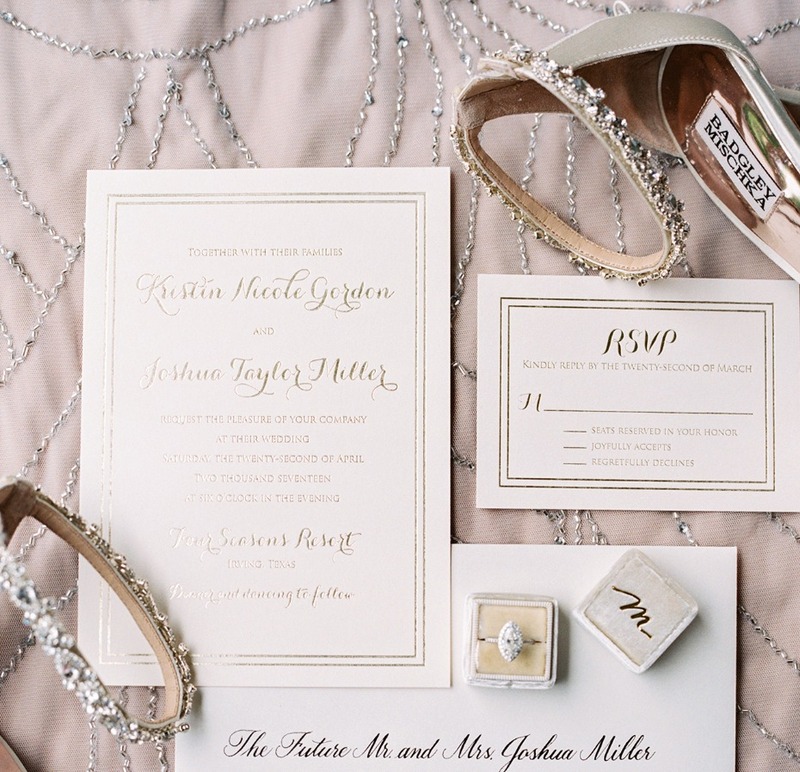 We wanted to create a custom invitation that was timeless and elegant but also stand out. I wanted my wedding dress to be one of a kind. After trying on so many different styles, I finally found "the one" at Bridal Boutique in Lewisville, TX. The dress designer, Olvis, handmade this dress, and it is custom in every way. My eyes were immediately drawn to the pearl button-down back and the unique overlay lace. I had never seen a dress like it, especially with the illusion style. On top of this, the boutique and I came up with a custom beading on the top of the dress, that no other bride would ever have with this exclusive designer. This gown was definitely one of a kind and truly was special. As for my bridesmaids, I always had wanted the mix-and-match dresses, but with a little organization. Each dress is from Bella Bridesmaids, but different designers and colors. I went with taupe, gray, blush, rose and neutral tones for their dresses. No two dresses were the same style or color, but all fit in uniform. My Maid of Honor stood out in an Adrianna Papell beaded gown. 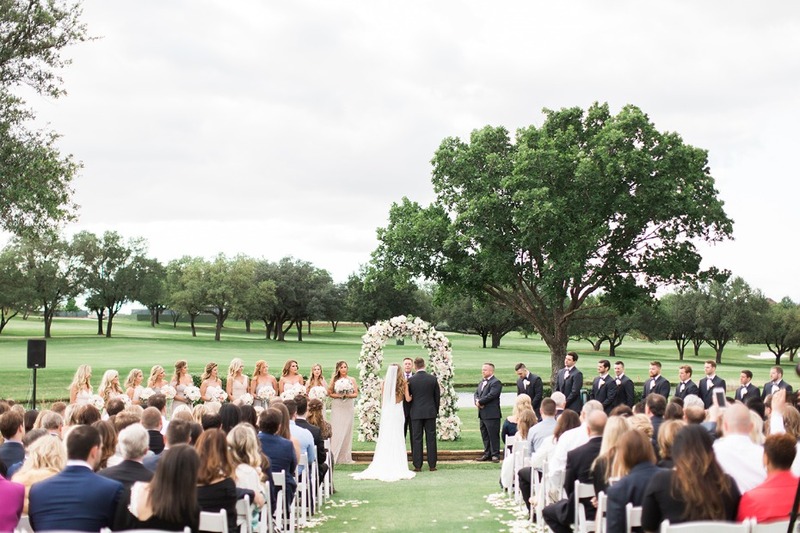 Getting married in Texas in the spring, I knew I wanted an outdoor ceremony surrounded by lush blooms and natural greens. I always envisioned saying "I Do" under the beautiful Texas sunset. There's truly nothing like it. The Four Seasons always brought so many happy memories growing up for both of us, and we knew it would be a perfect place to exchange vows. 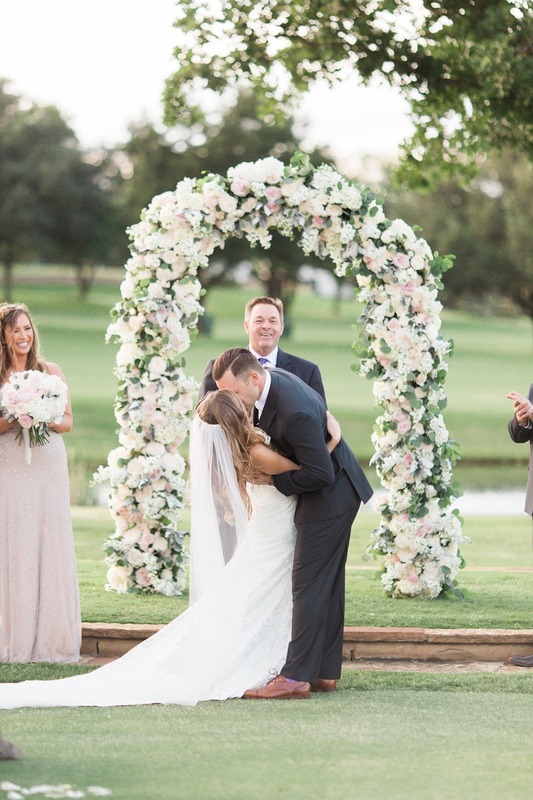 Surrounded by gorgeous oak trees, the golf green, the sound of the creek on the course, our stunning floral arch and rose petals down the aisle - it was the most magical night. 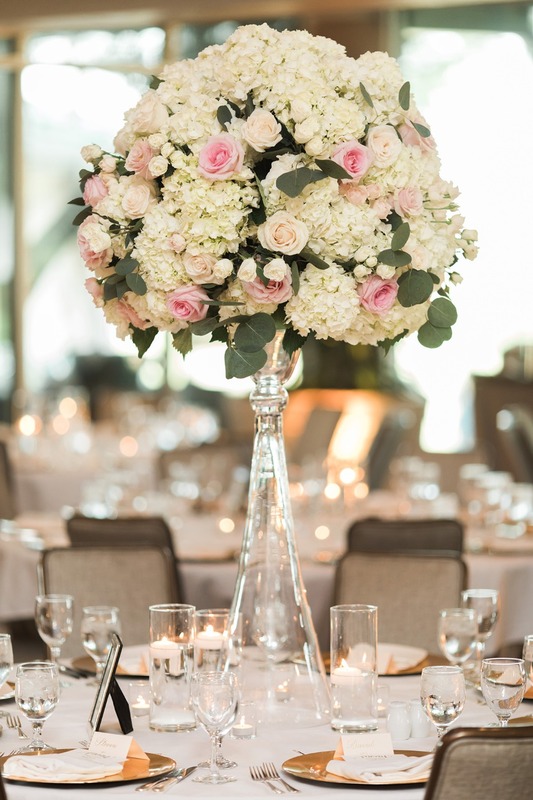 I went with a chic, timeless tone for our wedding at the Four Seasons in Dallas, TX. 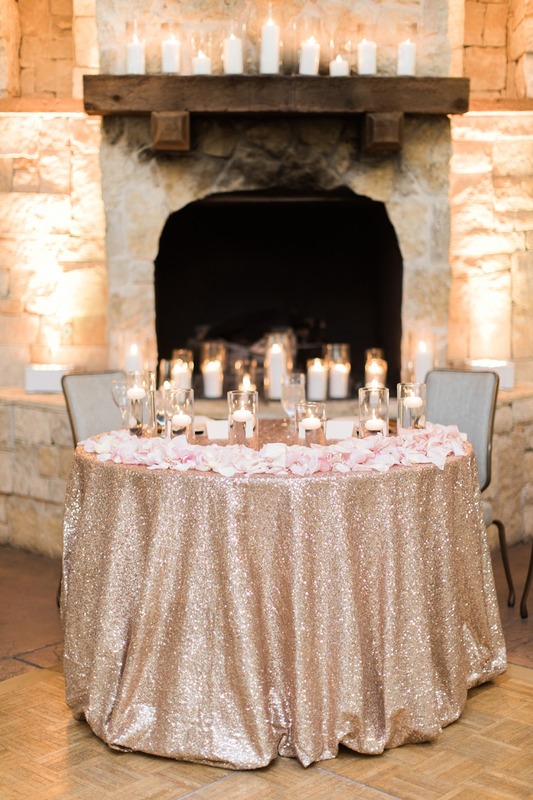 My color palette included ivory, taupes, grays, neutral/beige, blush, rose and a touch of gold. I loved the effortless, neutral look it created with a pop of gold to bring a touch of glam. 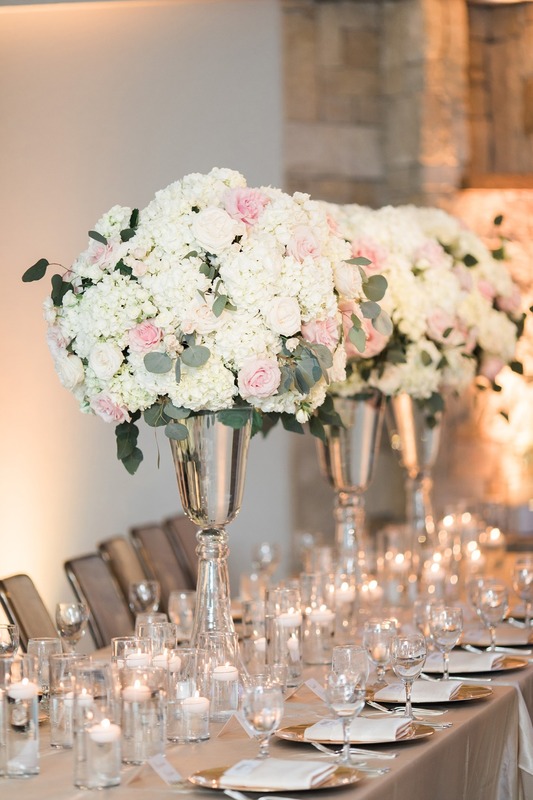 For flowers, I wanted an elegant look, filled with lush, pastel blooms. 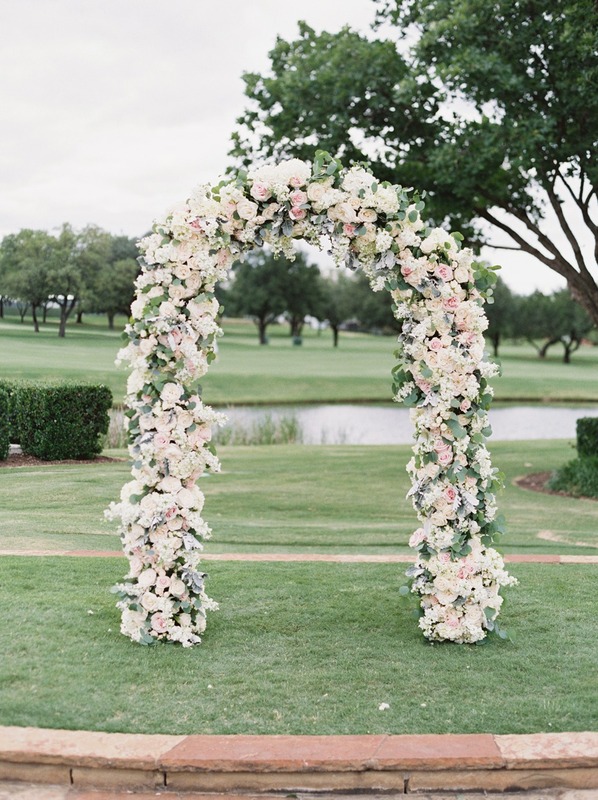 My florist and I came up with a floral arch and bouquets for the ceremony filled with pastel roses, dusty miller, hydrangeas, peonies and silver dollar eucalyptus. I wanted the flowers to really pop against the lush greens to accent our beautiful ceremony spot. 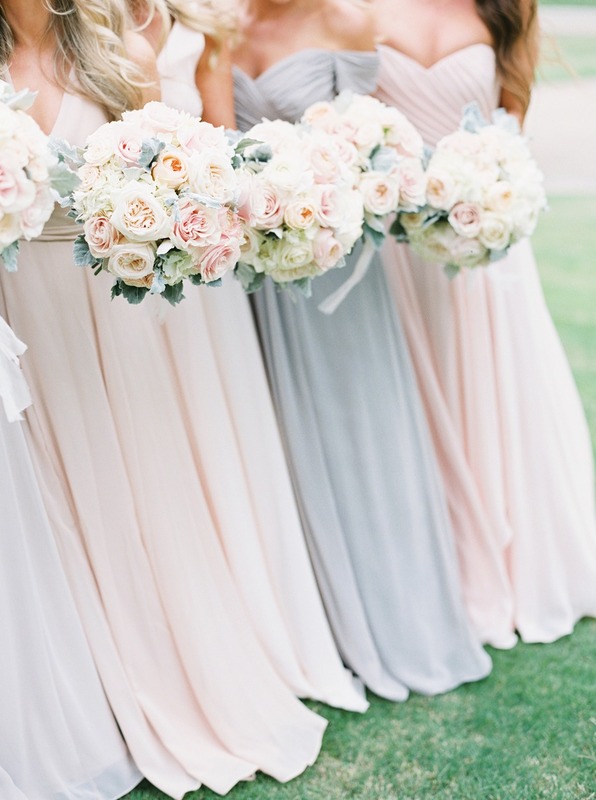 They were everything I wanted and more, creating the soft, pastel look that went perfectly with my overall vision. After the ceremony on the lawn outdoors, we transitioned to our reception indoors, at the Four Seasons pavilion. Inside was candle-lit with gold tablecloths, plates, and lighting; tall florals with romantic floating candles for each table. We had tall and short arrangements on each table in the reception room. 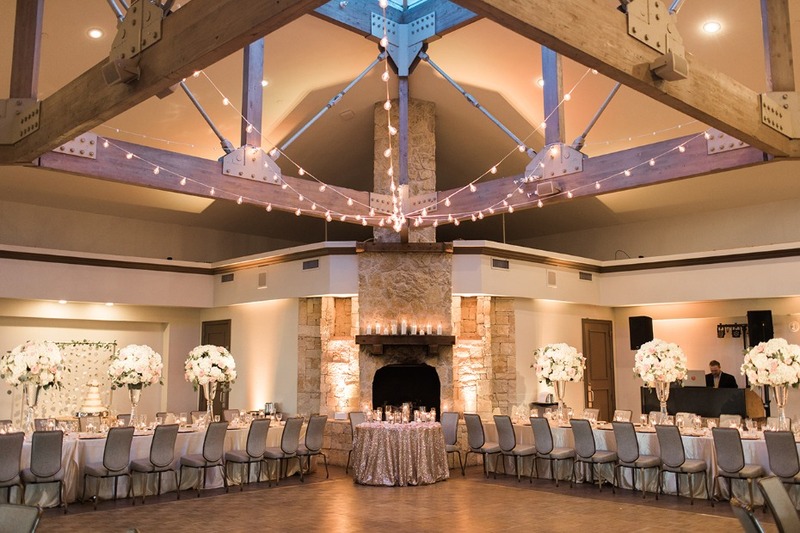 String lights in the ceiling, a candle-lit fireplace, and floating candles made the reception ultra romantic. 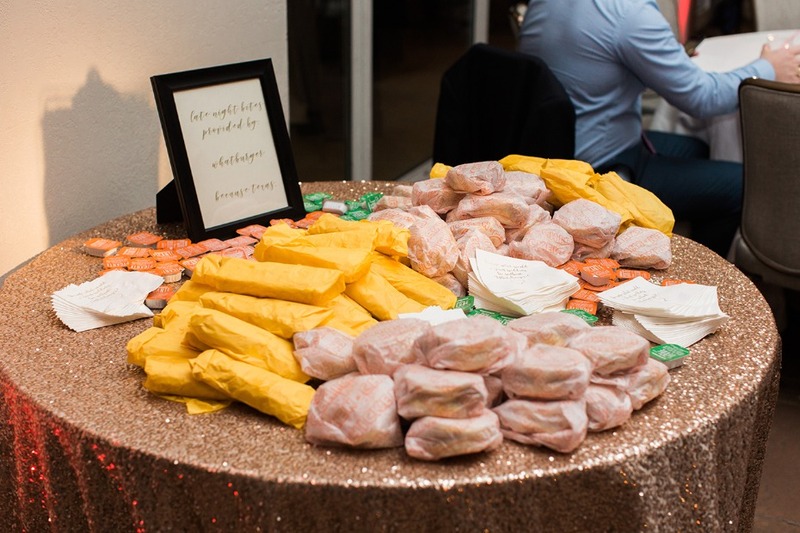 Each guest had a personal menu on their gold charger plate. The dance floor was carefully placed under the string-lit ceiling so that we could dance under the stars all night long. We had two, amazing and delicious cakes. 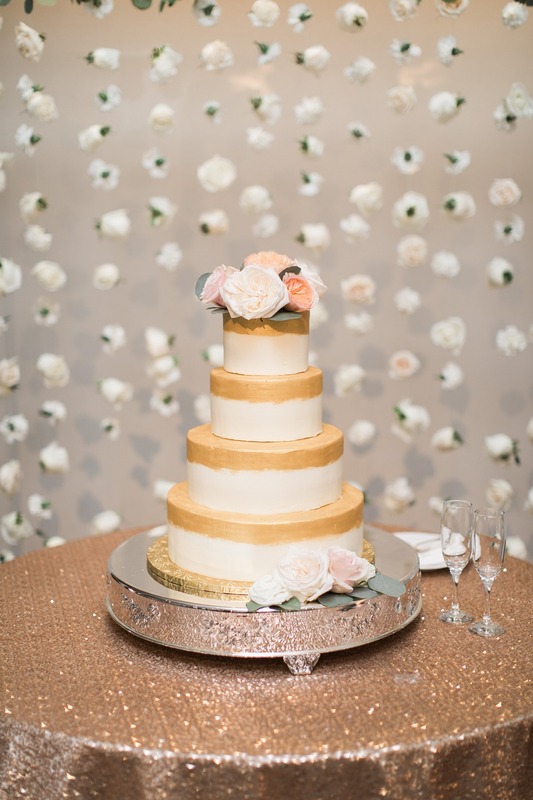 Our wedding cake was a timeless ivory cake with an elegant gold rim to make it stand out. The cake was topped with a few of our lush florals. 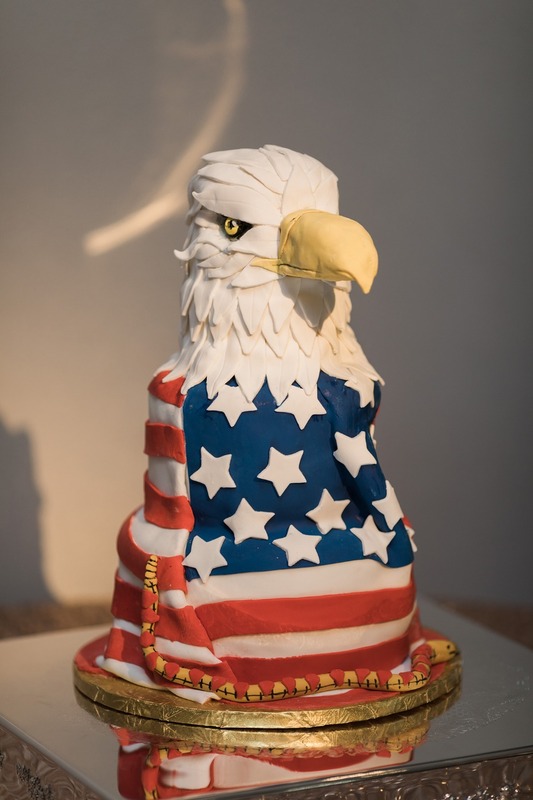 Josh's groom's cake was the talk of the evening: a 3D American eagle. 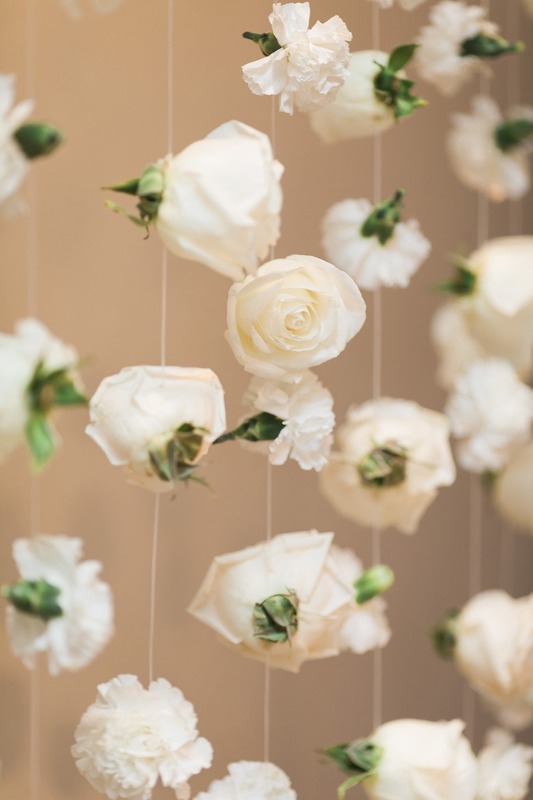 My florist had made a surprise special piece for our reception - a hanging floral wall for our wedding cake. It was so unique but timeless in the same way. it was simply breathtaking! We had a fun surprise late night snack, provided by Whataburger. It was such a hit for our guests! 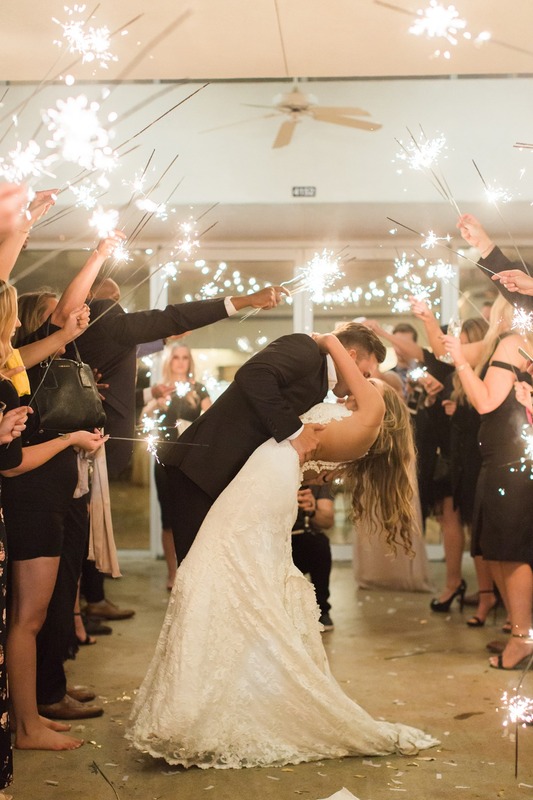 The night came to an end with gold and ivory confetti for our guests on the dance floor and a sparkler exit. 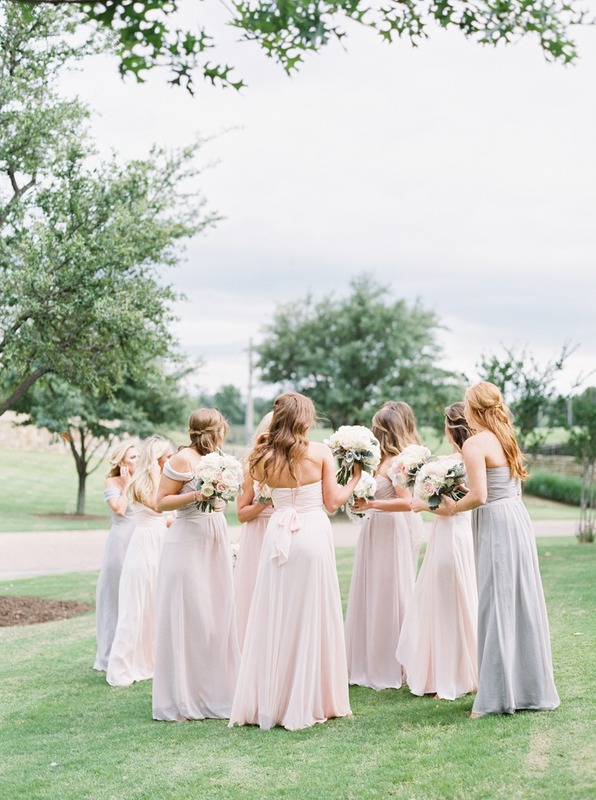 Get a closer look at this glamorous pastel wedding in Texas by watching the fabulous film created by WhenItClicks below.